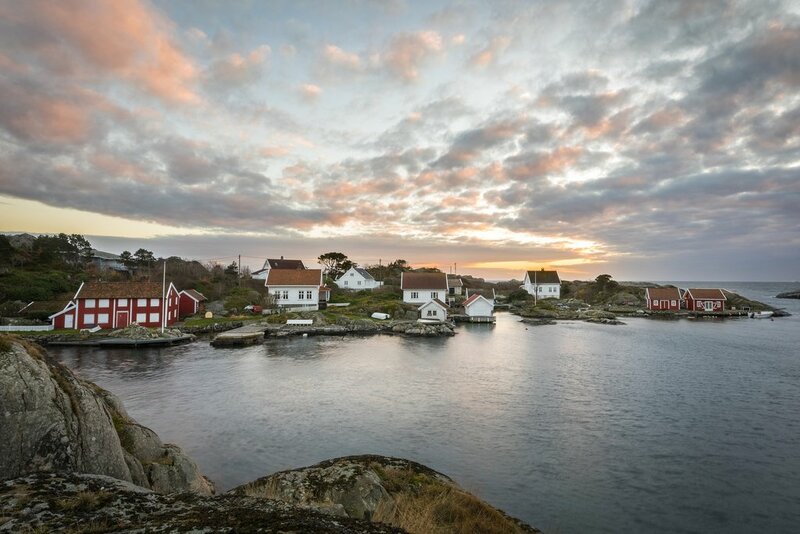 Southern Norway is a nature lover’s paradise, and the region's nickname—the "Norwegian Riviera"—is perfectly suited to the waterfront towns that dot Norway's southernmost stretch of coast. Here are some tips for making the most of your stay. Norway's southernmost stretch of coast has long been a favorite holiday spot for the country's own citizens, and foreigners are finally catching on. 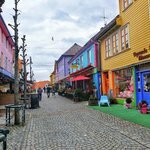 Picture-perfect towns and lots of opportunities to play in the sun make this a great getaway, and provides contrast to Norway's famous cities and fjords. While Norway as a whole is a year-round destination, it's wise to schedule your visit for the summer months if you're looking to partake in all of the outdoor activities the Riviera has to offer. The period between June and August is the busiest time for travelers, but with proper planning, you'll still have ample opportunities in the southern region to escape the crowds. Depending on budget and schedule, you can reach the Riviera by train, plane, or bus from Norway's capital city, Oslo. 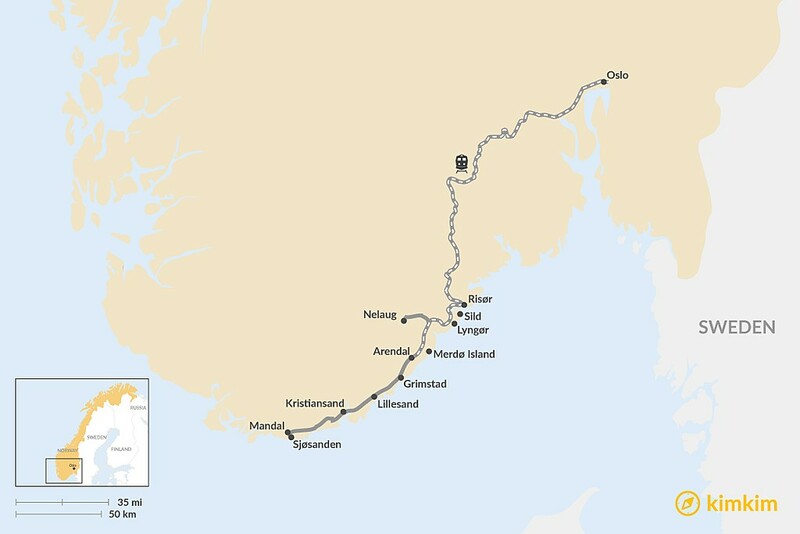 Buses bound for Arendal leave from Oslo several times per day and take approximately four hours. 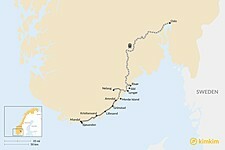 You'll also need about 3-4 hours to reach the Riviera by train, depending on where you decide to disembark. If you prefer to fly, the closest airport is in Kristiansand, located in Vest-Agder county. Since summer is peak season, be sure to book your tickets well in advance. Wherever you choose to base yourself, you truly can’t go wrong—each Riviera town has its own special charm. You'll be guaranteed striking scenery, interesting cultural events, a laid-back atmosphere, and of course, those iconic white wooden houses. 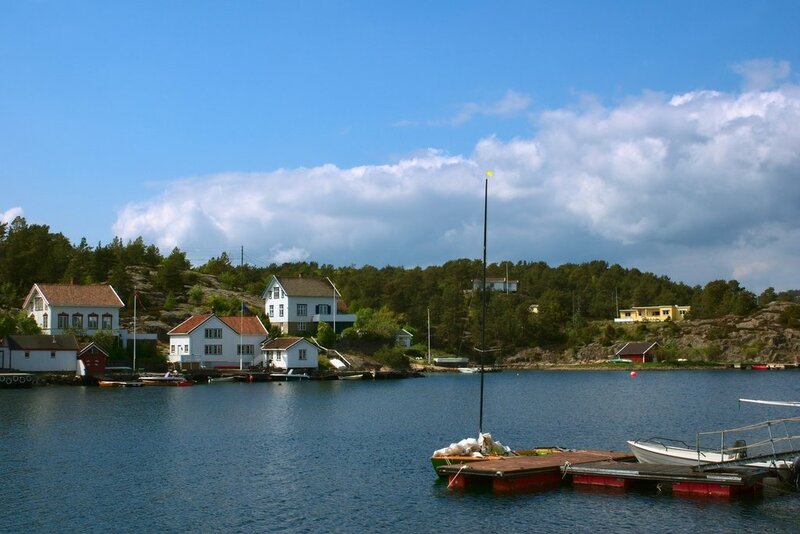 If it's your first time in the region, Arendal is a good option. 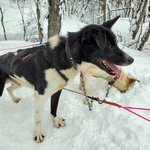 Easily reachable by bus or train from Oslo, it offers a nice sampler of sights and activities, all within a short distance. Cycle through town on a rented bike to see typical wooden heritage houses. You can hop a boat to nearby islands, like the car-free enclave of Merdø, famous for its pebbled beaches and Iron Age-era ruins. 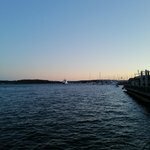 When the sun goes down, go on a pub crawl through scenic Pollen Harbor, where restaurants boast outdoor seating along the water, and you might just catch an open-air summer concert. If you base yourself in Arendal, you'll also be on-hand for an even bigger musical event. The town is the main venue for Canal Street, a week-long festival showcasing Norwegian artists as well as international headliners (past years have included Lauryn Hill, Joss Stone, and Bob Geldof.) Jazz is the most popular genre, but you'll hear all types of music—and get a chance to see sleepy Arendal truly come alive. 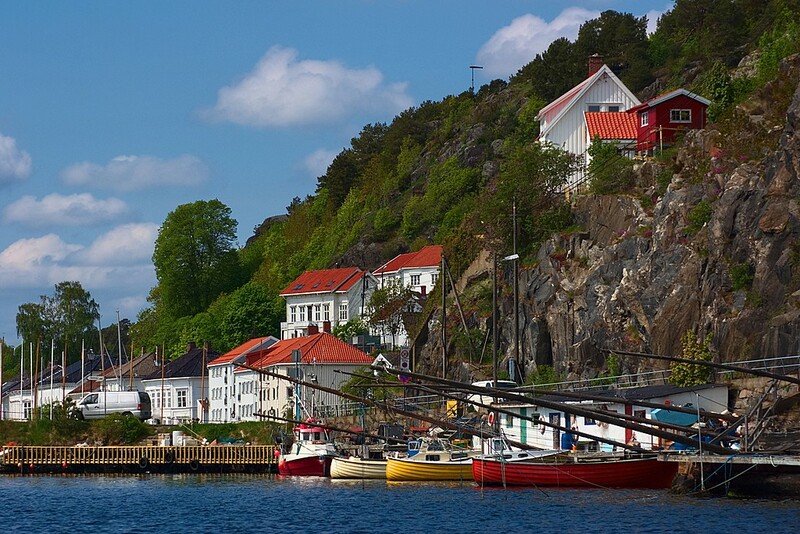 The small town of Risør, home to another stunning harbor, is another good option. A traditional seafaring hub, the town has long specialized in the construction of wooden sailing vessels. You can take a boat tour in a classic, restored sailboat, or simply admire the meticulously-made wooden boats lined up in the marina. There's an on-site cultural center, where you can discover stories from the shipbuilding industry, both past and present. If you time your visit for the end of the summer, you may just end up in town for the Risør Trebåtfestival, Norway's biggest wooden boat festival. Along with old sailing boats and pirate games, the town also hosts sailing regattas—an exciting way to celebrate the country's maritime heritage. 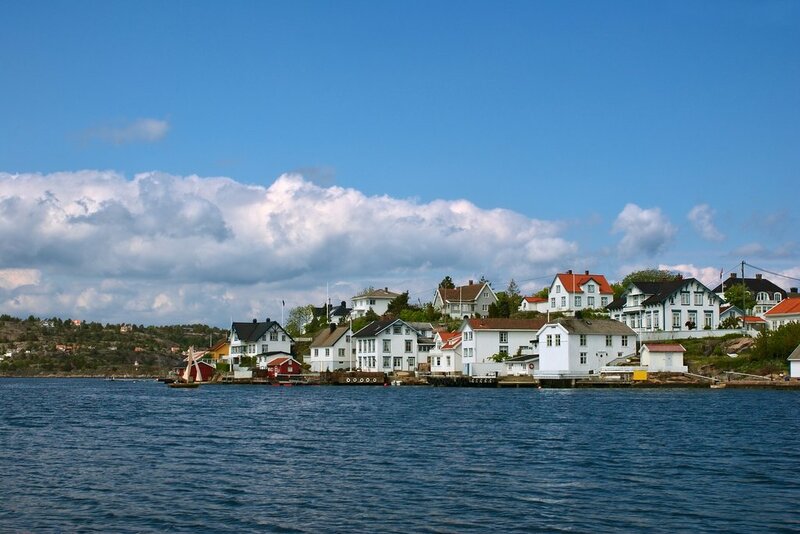 To stay in the serene village of Lyngør, which is home to only 80 permanent residents, you'll need to arrive by boat. The island chain has no cars—nor even any roads. It's your best chance at getting to see what Norway was like during the sailing heyday of the 1800s, when most of the white-painted wooden homes were built. Wander the timewarp waterfront to enjoy life at a slower pace. The population balloons during the summer, but the village still retains its remote charm. For a unique overnight stay, book a room at the Lyngør Lighthouse. Located on the end of a rocky inlet, the one-time residence has been converted into boutique accommodation, offering 20 beds year-round. Listen to waves crashing on the shore as you settle in for the evening, and wake up to a sunrise panorama over the old harbor. Lyngør also contains part of Raet Nature Reserve, southern Norway's first national park. It extends over a large coastal area and was established in 2016 to protect local flora and fauna. The park is home to several picturesque and family-friendly beaches, plus plenty of opportunities for kayaking, hiking, birdwatching, and fishing. It even has an on-site cafe and event space—Studio Spornes—on the Arendal side of the sprawling reserve. A locals' favorite pit spot near hiking trails, the family-run coffee shop offers fresh brew, live music, and even yoga classes. Whether you are all about adventure or just want to kick back and relax, you’ll be spoilt for choice in the Norwegian Riviera. Both nature and heritage properties have been lovingly preserved, and you won’t find modern hotels or towering skyscrapers disrupting the views. There's a reason the picturesque coastal towns scattered around the waterfront are nicknamed a "String of Pearls." The sight of white-painted houses set against stunning natural backgrounds is one of Norway's most unmissable gems. Cool down from your cycling excursion with a uniquely Norwegian swimming experience. 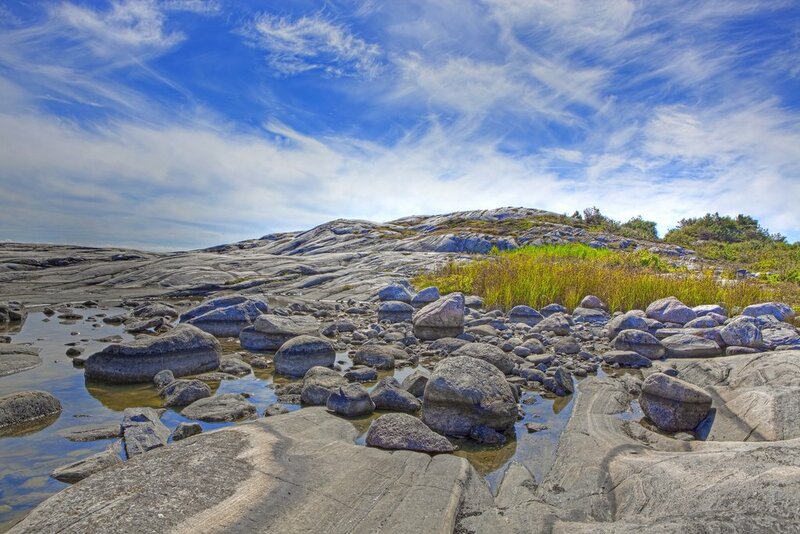 Southern Norway is home to numerous "potholes," natural swimming pools that formed over 10,000 years ago, after the Ice Age. They're now a great place to take a dip during the summertime or fall. Head to Sild, just 25 minutes by car from Risør, for a chance to swim in the largest potholes in Europe—some 20 feet deep. Pack a picnic lunch then spend the rest of your afternoon exploring nearby hiking trails, including a scenic 25-minute stroll across gentle hills to Sildodden. Fishing is another favorite outdoor pastime—no surprise, given the mild climate and clean coastal waters. Give it a try and you may find pollack, tusk, and ling tugging on the end of your line. Or you might get even luckier. The southern region is one of the country's only locations where you can snag a sea bass. Just like its French namesake, the Norwegian Riviera offers ample possibilities to cruise and sunbathe to your heart's content. Boat rides are not only a fun leisure activity, they're also the preferred mode of transportation in this part of Norway. So don't leave town without booking a day cruise, or even renting your own boat—if you're licensed to drive one, that is. Take a ferry boat from Kristiansand to Lillesand, and enjoy the Riviera how it was meant to be enjoyed—from the water. Sample the catch of the day from the fish market, admire art in a local gallery, and spend a night camping under the stars. If you're feeling sporty, you can opt to rent a kayak or join a kayaking excursion in Risør or Lillesand. But the Norwegian Riviera is also the perfect place to get lazy. Find a sunny strip of coastline and settle back to work on your tan lines. Sjøsanden, a long, sandy beach near the town of Mandal, is a popular choice, with on-site restrooms and nearby walking trails. Or you can escape traffic on car-free Merdø. Family-friendly Spornes Beach, with its scenic sand and pebble shore, is a favorite of families. But keep in mind, sunbathing only requires sun—not sand. To relax like a local, just find a flat rock to lounge on. Summertime in the Riviera means festival season. In the waterfront town of Grimstad, you'll find something for everyone, from film festivals to sports marathons. Be prepared for big crowds. Whenever you're ready to take a break, you can always head back to the beach. You'll also find some respite in one of the local museums, like the childhood home of playwright Henrik Ibsen, or over a pint in the town's craft brewery. Wherever you are in the Riviera, inquire about local festivals and events, which will give you a chance to mingle with locals and learn more about life in the Southland. And get prepared for your outdoor excursions with the ultimate Norway packing list.